GB Industrial Battery and its content suppliers make no representations or warranties about the operation of the site or the information, content, materials, or products included on this site. This site and all content are provided "as is" without warranties of any kind, express or implied. To the full extent permissible by applicable law, GB Industrial Battery and its content suppliers disclaim all warranties and conditions with regard to this information, including all implied warranties and conditions of merchantability, fitness for a particular purpose, and non-infringement. In no event shall GB Industrial Battery or its content suppliers be liable for any special, indirect or consequential damages or any damages whatsoever resulting from loss of use, loss of data or loss of revenues or profits, whether in an action of contract, negligence or otherwise, arising out of or in connection with the use of the site or the content available from this site or server. Users are advised that content may include technical inaccuracies or typographical errors. GB Industrial Battery or its content suppliers may make improvements or changes in the site, content, or in any of the products and services described on the site, at any time and without advance notice. GB Industrial Battery is not a publicly traded company, is not seeking investors, and it’s stock is not for sale. Many of the pages on this site were placed there by our web content provider as an example of their capabilities, in exchange for content management, and are not meant to imply that GB Industrial Battery is publicly traded or seeking investors. All content included on this site, such as text, data, product information, graphics, logos, images and button icons, is the property of GB Industrial Battery or its content suppliers and protected by U.S. and international copyright laws. The content of this site, including the reproduction, modification, distribution, transmission, republication, display or performance of the content on this site is strictly prohibited. Pursuant to the Digital Millennium Copyright Act (17 U.S.C. 512, the "DMC Act"), GB Industrial Battery has designated with the United States Copyright Office Jean Francois Goulet as its interim agent to receive notice of any claimed copyright infringement through the use of any computer system owned by GB Industrial Battery, including this website. Information about the DMC Act and how to contact GB Industrial Battery if you believe any system owned by GB Industrial Battery has been used to violate any of your copyright interests can be obtained from the United States Copyright Office. GB Industrial Battery is the sole owner of all information collected on this site. As noted above, any information collected by GB Industrial Battery is for providing users with information in response to their requests only. GB Industrial Battery may collect information from our users at several different points on our website. We may use "cookies" on some pages of our website to help us serve you better each time you return. A cookie is a small text file which is sent by a website, accepted by a web browser and then placed on your hard drive. The data collected from these cookies helps us to analyze browsing patterns of our visitors in order to improve the content and design of our website. The information collected from these cookies is for the exclusive use of GB Industrial Battery and will not be shared with other vendors. The cookie expires after six months, so there is little concern about it storing outdated information. You can always set your browser to refuse all cookies or to warn you when a cookie is sent to you. This will provide you with more control over the acceptance of cookies on your hard drive. However, it is possible that some portions of this website will not function properly or may perform more slowly if you choose to reject cookies. In the Edit menu, select Preferences. In the Preferences dialog box, in the left hand side menu, click on "Advanced" and 4 options concerning cookies will appear on the lower right. Choose Help for further details. You can find more information about cookies and Netscape on the Netscape Web site. MSIE 6 allows you to set options for each of six privacy cookie settings: Block all Cookies; High; Medium high; Medium; Low; Accept all Cookies. For each of these settings, you can choose whether to accept, reject, or be prompted for all first and third party cookies, and to allow or not allow all session cookies. To set your cookie options, choose "Tools/Internet Options", and select the Privacy tab. Then, move the bar to one of the six cookie settings. Next, select the Advanced button, and click the Override Automatic Cookie Handling, and indicate the appropriate options. At times, we may be working with third party companies to execute a specific promotion or program. If the information is to be shared with any third-party for the purposes of executing a specific promotion or program, the details will be clearly communicated in the program's rules for the specific program or promotion, and the third-party will have no right to use the information for independent purposes. When a user signs up for these services, he or she will have to opt-in to permit GB Industrial Battery to share names or other contact information necessary for the third-party to provide these services. These third parties are not allowed to use personally identifiable information, except for the purpose of providing these services. In support of this policy, GB Industrial Battery will enter into written agreements with all third parties to ensure that they will meet privacy standards, including the privacy standards of COPPA and the U.S. Commerce Department Safe Harbor provisions. If this website contains links to other sites, please be aware that GB Industrial Battery is not responsible for the privacy practices of such other sites. We encourage our users to be aware when they leave our site and to read the privacy statements of each and every website that collects personally identifiable information. This privacy statement applies solely to information collected by this website. This website takes every precaution to secure our users' information. When users submit personally identifiable information via the website, GB Industrial Battery will take reasonable measures to insure that such information is protected both online and off-line. If you have any questions about the security at our website, you can send an e-mail to us via the Contact Us page. If a user's personally identifiable information changes (such as your zip code), or if a user no longer desires our service, we will endeavor to provide a way to correct, update or remove that user's personal data provided to us. This can usually be done by contacting us via email at our Contact Us page. GB Industrial Battery's services are not directed towards or targeted at children, nor is any of the data stored in a manner addressed to or focused on children. Moreover, GB Industrial Battery does not require any visitor to disclose age or identify if he or she is a child. If a parent discovers that his or her child has submitted personal information to GB Industrial Battery via the GB Industrial Battery website, they can remove their child from our database by contacting us via email using our Contact Us page. © Copyright GB Industrial Battery 1996, 2019. All rights reserved. Last Updated: Wednesday, October 10, 2018 - 6:45 P.M. Pacific Time. Bluefield, Bristol, Martinsville, Charlottesville, Danville, Lynchburg, Fredericksburg, Harrisonburg, Roanoke, Alexandria, Arlington, Manassas, Norfolk, Virginia Beach, Williamsburg, Petersburg, Richmond, Tappahannock. Virginia, Va., VA, Bluefield, Bristol, Martinsville, Charlottesville, Danville, Lynchburg, Fredericksburg, Harrisonburg, Roanoke, Alexandria, Arlington, Manassas, Norfolk, Virginia Beach, Williamsburg, Petersburg, Richmond, Tappahannock. 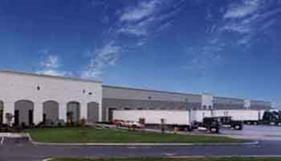 Industrial battery services, GNB technologies, sealed cells new jersey, Delaware eastern Pennsylvania . scrap batteries recycling EPA certified smelters. Industrial battery services, batteries telecommunications, uninterruptible power supply (ups), switch gear utility, emergency lighting medical. Battery racks, chargers, power equipment and parts. Service, install turnkey installations, battery disposal, ieee-450 preventive maintenance programs, warranty ac & dc power 24 hour emergency service. cable fiber optic. Argus, power boards, battery alpha ac-ups telecommunication sealed lead acid batteries, in New Jersey , Delaware , eastern Pennsylvania , Washington dc and northern Virginia . BRANDS WE SERVICE: Battery Builders, Battery Handling Systems, BBI, BHS, Bulldog, CEN, Chloride, Crown, Deka, Douglas, East Penn, Enersys, Exide, Load, Smart, Desert, Hog, tubular, Ferro magnetics, General, GNB, Flooded, EV, Champion, Technologies, Gould, Hawker, Hertner, Hobart, KW, Lamarche, La Marche, National, North East, Northeast, Power Flow, Yuasa, Mac, Watermaster, Beal, Batteries for Industry, BFI, Jamaica Queens, Electro Rep, Xtra Power, metro battery, JG Power, Hi-Tech Systems Inc., Hi Tech, Batteries Inc., Dynamic, Eastern Lift, , AC Forklifts, Modern Handling, Modern Group. WE STOCK BATTERIES TO FIT ALL OF THE FOLLOWING LIFT TRUCK BRANDS: Bendi, Cat, Caterpillar, Clark, Crown, Drexel, Hyster, Komatsu, Mitsubishi, Nissan, Raymond, TCM, Toyota, and Yale, among others. If your brand is not listed, we usually stock a compatible size at our Chicago depot. FORKLIFT TYPES / APPLICATIONS: Tugger, aircraft tugger, scissor, turret, attachment, contacts, motor, motors, side loader, reach truck, narrow isle, pallet jack, Forks, EE, and EX. Battery Terms: Spill, cleanup, clean up, msds sheet, ammeter, control, automatic, capacitor, resistor, wiring, diagram, schematic, acid, specific gravity, volts, voltage meter, hydrometer, heat, hot, dead, sulfur, hydrometer, load, intercell connector, amp, amps, breaker, blown. Battery, Batteries, cell, repair, replacement, new, used, reconditioned, battery repair, testing, battery testing, battery parts, repair, rental, replacement, new, used, reconditioned, repair, testing, testing, parts, buy, sell, trade, scrap, abuse, damage, positive, negative, polarity, adapter, series, parallel, Anderson, cell, cables, plug, plugs, connector, hardware, lugs, diode, rectifier, fuse, contactor, corrosion, neutralize, Neutralizer. Battery Voltages: 6 cell, 12 cell, 18 cell, 24 cell, 6v, 12v, 24v, 36v, 48v, volt, volts.